Allow me to shock you. Blockbuster hasn't gone bust. Yep, that's right, Blockbuster is still a functioning business. My research shows that as of August 2016 there were a staggering 14 stores still open. Now, if you think I'm taking the piss by saying 'staggering' then you're wrong, because I think it is absolutely mind-blowing that ANY still exist. Don't get me wrong, I'm not slagging off Blockbuster. I spent many a happy hour in there as an overweight, anti-social child, but times change. I don't even think we've got a DVD player at home, anymore. Netlflix, innit? Given that there's 14 in the whole world, it's unlikely that you still have a Blockbuster in your town/city/whatever. Although if you do, please get in touch, because I've got a copy of Flubber on VHS that I 'forgot' to take back when I was younger and I'm dreading to think how much that fine is increasing by the minute. 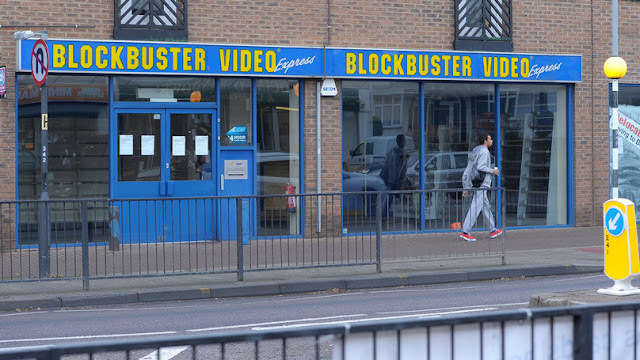 One guy who did manage to find a remaining Blockbuster has done us all a favour and filmed the experience, check it out. 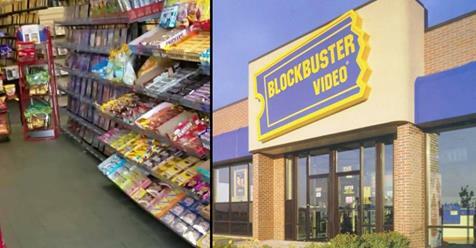 Ah, I miss you, Blockbuster. Let's all bring it back, lads. Because Blockbuster and chill, definitely has a ring to it.